As part of the body of Christ, to see that every young person in very people group in every nation has the opportunity to make an informed decision to be a follower of Jesus Christ and become part of a local church. Youth for Christ is a worldwide Christian movement working with young people around the globe. Motivated by our own faith we give young people everywhere the opportunity to be followers of Jesus Christ. 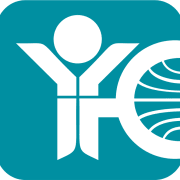 Would you recommend YOUTH FOR CHRIST INTERNATIONAL MINISTRIES?